For most fashion lovers, fall is the most wonderful time of the year. It means cute sweaters, layering and boots! 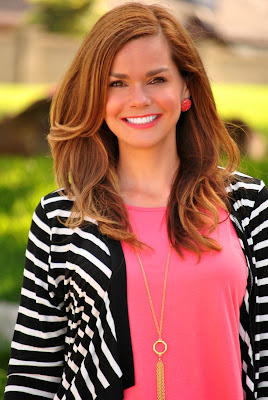 Fall also means another Style Challenge care of Alison Lumbatis from Get Your Pretty On. Early bird registration for the fall challenge opens TODAY!! 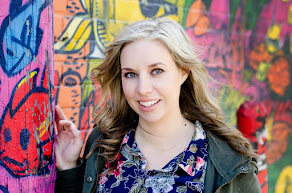 See more info on the Fall Style Challenge at the end of this post but first, something super exciting: an interview with Alison Lumbatis, the Style Challenge creator!! I've been following Alison's blog since I started blogging and I love her. She offers so much practical fashion advice for your regular girl. She's easy to relate to, down to earth and just generally a really sweet person. Obviously, I was super excited for the chance to ask her some questions... ENJOY! 1. What inspired you to start doing Style Challenges? My blog readers inspired the first GYPO Style Challenge. They were asking for seasonal shopping lists and outfits. I finally created the first one in Spring 2014 and was blown away by the response. The challenge has grown from 500 participants in the first round to close to 5,000 women participating in the first year. 2. You've done a number of Style Challenges now, how do you keep on top of current fashions/trends? Honestly I'm not a huge trend follower. I believe in having a closet full of mostly classic pieces and then adding in inexpensive trendy items to refresh it each season. To determine what trends to include, I usually do some online research and pay a few visits to the mall to see what strikes my fancy. Then I decide if it can be translated into everyday wear. 3. What have you enjoyed most about the challenges? The hands-down best part of the challenge is the amazing community that's grown out of it. The women who do challenges are the most encouraging, supportive and kindest women I've ever encountered. They are so willing to help one another out, whether it's with a trend you're struggling with, needing fit advice or looking for shopping tips. Many real life friendships have grown out of the challenge and that gives me warm fuzzies! 4. Is there one thing you'd like potential participants to know about the Style Challenges? They aren't for everyone. The challenge works best for women who feel that they're stuck in a clothing rut and are ready to try something new to get out of it. You have to be willing to allow someone (me!) to help take the guesswork out of style for you. You need a strong desire to have some go-to outfits in your closet, not just pieces that don't work together. You need to be open to modifying the outfits to suit your tastes and comfort level. You must also be willing to get out of your comfort zone. 5. With all of the different Style Challenges you've done (Spring, Summer, Fall, Winter, Work Wear and Men's Wear), do you have a favorite one to prepare for? Definitely fall! I love the colors, patterns and layering that it allows. 6. Is there's one piece/item for this coming 2015 fall that everyone needs to have? A pair of cognac ankle boots. You can invest in a nicer pair, this trend is going to stick around for awhile. 7. What's your best style/fashion advice for busy moms? Have some go-to outfit formulas that help you get dressed on a daily basis. Once you have the right pieces in place, it's just as easy to put together a cute outfit as it is to throw on your yoga pants. Start in your closet. Use resources like Pinterest to find new ways to wear some of your basic pieces. Then add in inexpensive items like printed scarves and accessories to dress them up and make them feel special. 8. Can a girl ever really have too many shoes? Heck no! If you love them and wear them, then fill up your closet with them. I ain't mad at ya! It's that time people! 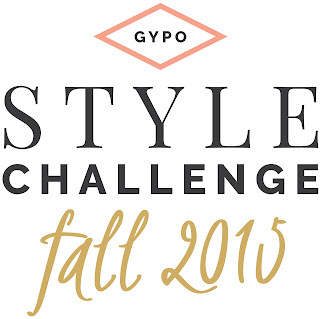 Fall Style Challenge is here and better than ever! This time around there's added bonuses!! You get last year's fall challenge (which was awesome) as well as a fit masterclass to help you with finding clothes for your body shape! Oh AND the shopping list is sent out upon sign up so you NEED to sign up ASAP!! If you don't know what the style challenges are or why you should participate, I'll summarize it right quick: sign up, get shopping list, shop, receive daily emails (the night before) telling you what to wear and how to wear it. No guesswork getting dressed in the morning and you always look put together. Yes, yes and YES! PLUS you get to be a part of the Facebook group where we share selfies and are super supportive/helpful/friendly etc. It's a win/win/win. Alison offers a money back guarantee so you really have nothing to lose!